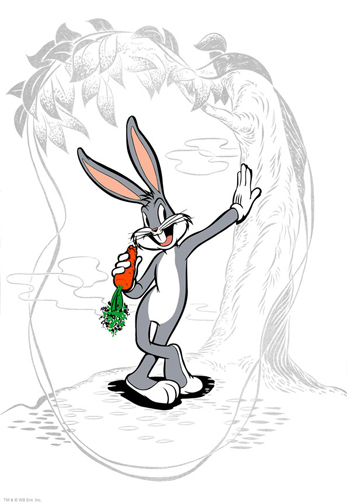 Known as one of the most famous cartoon characters ever, Bob Clampett's version of Bugs Bunny has come to being known as the more irreverent and sassy of the various Bugs Bunny versions. Each serigraph is arranged form individually cut screens to create the final image. Each color is individually silk screened, then printed on fine art paper.